Need a home inspection in Lumberton? 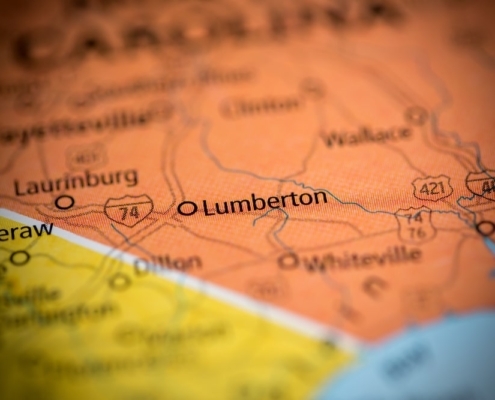 Lumberton is a city located in south central North Carolina, in Robeson County, the largest county by area in the entire state. It’s located on the Lumber River, from which it derives its name. The city was founded in 1787 by a man named John Willis, who was an officer during the American Revolution, and became an important shipping point for lumber for use by the Navy in shipbuilding. In addition, after the Civil War, Lumberton became a destination for free families of color, who were leaving Virginia in the late 19th century. Today, the city still has a highly-diverse population, which has grown to a total of around 21,500 according to the most recently-available US Census data. Robeson County is, in fact, a majority-minority area, as 68% of the population are Black, Hispanic, or Native American. Given its age, Lumberton is still home to quite a few important, national historical sites, such as the Lumberton Commercial Historic District, Baker Sanitorium, Alfred Rowland House, and the Robeson County Agricultural Building. The economy of the city is primarily driven by several industries, including manufacturing, health care and social assistance, and educational services. Accommodation and food services are also another major economic force in the area. Some major manufacturing companies in the area include Franco Manufacturing, Stanadyne LLC, SSR Mining, and Elkay Manufacturing. The city has also become a popular retirement destination, and was recognized as an ideal retirement community in 2010, by the North Carolina Legislature, for its high quality of life, great healthcare system, and other services and opportunities which make it a great place for older active adults. Transportation in Lumberton is primarily car-based, and the city is served by both I-95 and I-74. The closest major airport is Fayetteville Regional Airport, which is 30 miles away, to the north. Education in the area is provided by The Public Schools of Robeson County, which provides educational services to the entire county. This school system has a total enrollment of over 23,000, and is one of the largest and most advanced in the entire state, providing a well-rounded education. If you’re interested in moving to Lumberton, here are some helpful local resources which will help you get insights into the area’s lifestyle, and prepare for your move. Planning on moving to the area? You’ll need a professional home inspector to ensure you’re purchasing a safe, well-maintained home in Lumberton, NC. 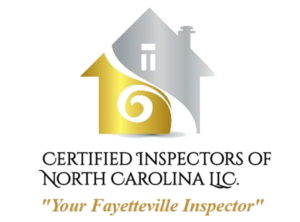 Contact Certified Inspectors of North Carolina LLC now, and schedule your appointment online to get started with our professional home inspection services in Central North Carolina.